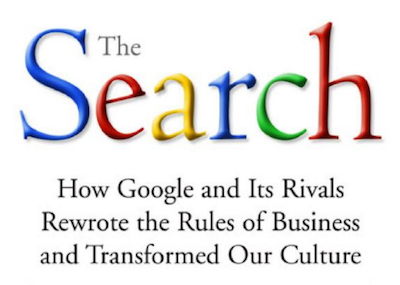 The Search: How Google & Its Rivals Rewrote The Rules Of Business & Transformed Our Culture examines the search engines that were developed in the 1990s to navigate the world wide web, and how Google became effectively the last search engine standing. Author John Battelle, one of the co-founders of Wired magazine, interviewed Google's co-founders Sergey Brin and Larry Page. The first big name in search was not Google, but AltaVista, which had the largest index of web pages at that time: "AltaVista was the Google of its era. In 1996, it was arguably the best and most-loved brand on the Web. It presaged many of the current innovations and opportunities in search, from automatic language translation to audio and video search". The Search was published in 2005 (with an updated paperback edition in 2006), before YouTube, Android, or Chrome, though Battelle predicted Google's continued diversification: "Google as phone company? As cable provider? As university? As eBay, Amazon, Microsoft, Expedia, and Yahoo all rolled into one? It is conceivable; and that, in the end, is what makes the company - and search, the application that spawned it - so fascinating."